At least one migrant has died when he tried to enter Eurotunnel’s French terminal near Calais on Tuesday night as about 1,500 refugees attempted to break through fences in a bid to reach UK for a second straight night. "Our teams have found a body this morning and firefighters have confirmed the person's death," a spokesman for Eurotunnel told France Info. BMFTV reported that the migrant of was Sudanese origin. The man was run over by a truck from the UK, Francetvinfo website reported. A police spokesman told BFMTV that they were “completely clueless” about the situation, adding that 60 officers are currently working at the scene of the incident. According to police sources cited by Francetvinfo, migrants were attempting to break into Eurotunnel “at least three times” on Tuesday night. French Interior Minister Bernard Cazeneuve has dispatched 120 police officers to take control of the terminal area in the port city. Lorry driver Sean Swan said the migrants are using melee weapons to dissuade drivers from forcing them off the lorries. "They are jemmying the padlocks off, with hammers, crowbars and Stanley knives," he told the BBC. UK Home Secretary Theresa May said the surge is connected to the imminent construction of a 1.2 mile, £7 million ($10.9 million) fence that will make it harder for migrants to board lorries meters from the tunnel. "They are particularly trying to get into the Eurotunnel and on to the trains before that security fencing is going up," she said in a media interview. "Crucially what we are looking at now is improving security at the railhead at Coquelles, so we can ensure people are not trying to come through the tunnel." Tuesday's casualty is not the first migrant death in recent months. 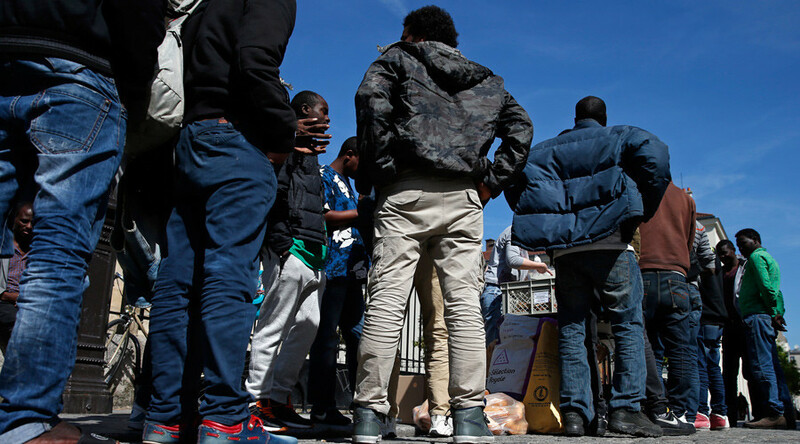 July 7 a man reportedly of Eritrean origin attempting to reach the UK from Calais was found dead on a freight shuttle, Channel Tunnel operator Eurotunnel has said. Overall, with the latest fatality, the number of deaths in Eurotunnel stands at nine, according to French media.